When you get hurt at work, you trust the Ohio Bureau of Workers' Compensation to give you workers' compensation benefits. If have been denied benefits, we may be able to help. At the Wakeman, Ohio, office of Matthew Hawley, Attorney at Law, we will work with you to ensure that you receive the benefits that you are entitled to. Payment of medical bills - If your employer's insurance refuses to pay medical bills related to your injury, contact us as soon as possible to help you with your workers' comp claim. Disability benefits - Whether you are disabled for a short period of time or permanently, there is a process in place to make sure that you are paid for the time that you are unable to work. Lost wages - When a work-related injury causes you to take a pay cut, we can help you apply for benefits to make up for the difference between your previous pay and what you are making now. Living maintenance - You might be able to get benefits if you are participating in a rehabilitation program geared towards returning to your job. Residual damage - If your work injury left long-term damage, we can help you obtain benefits. 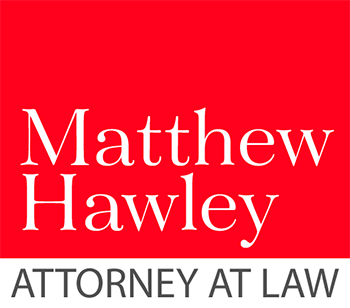 Our attorney, Matthew Hawley, worked at the BWC before getting his law degree. We know that employers and the BWC do not always want to pay injured workers benefits they deserve. If your workers' comp claim is being disputed, contact us for a free consultation. If Ohio BWC or your employer are disputing your claim, there will be an administrative hearing about the dispute. You should contact an experienced lawyer before this hearing. Your employer or an insurance representative will be at this hearing, and they may not have your best interests in mind. After the administrative hearing, the BWC can choose to accept or deny your claim. If your claim is denied, we will discuss the appeals process and represent you in court if your case is right for an appeal. We represent workers who have been injured in any occupation, especially those who have received Manufacturing Injuries. Our office is located in Lorain County, Ohio.. Contact our office to schedule a free initial consultation.